Looking for a mortgage loan? We'd be thrilled to talk about our many mortgage solutions! Call us at 440-934-2100. Ready to get started? Apply Here. It is valuable to consult with your mortgage loan professional early — even before you've begun narrowing down neighborhoods. Why? How can we help before you have negotiated an amount, and don't know yet how much you need to borrow? We can help you calculate the loan amount you can qualify for and the mortgage payment amount you can afford by helping you pre-qualify. During this process, we explore your borrowing power - reviewing your earning status, money available for down payment, existing debt, income, and other circumstances. It's short and to the point; We take pride in keeping the paperwork light. When you qualify, will give you what's called a Pre-Qualification Letter (your real estate agent might refer to it as a "pre-qual"), which documents the fact that we are partnering with you to find the right loan to fit your situation and that we are confident you will qualify for a loan for a specific amount. After you find the house that catches your eye, and you want to put together an offer, being pre-qualified for a loan will do a couple of things. First of all, you have some general numbers in mind, as the total you will qualify for with your mortgage loan. Your pre-qualification also will make your offer more attractive to the home seller, like you were bringing them a suitcase of cash! They won't have to wonder if that they are wasting their time if you can't be able to qualify for a high enough mortgage. The seller of the home won't worry if he can trust you to qualify for your loan.Your qualifying for the necessary mortgage loan amount will not cause them concern. They have a virtual guarantee to trust your buying power. We can help you calculate the loan amount you can qualify for and the mortgage payment amount you are able to afford by getting you pre-qualified. During this process, we calculate your capacity to borrow - reviewing your earning status, money available for down payment, existing debt, income, and other areas. It's short and to the point; and we take pride in keeping the paperwork to a minimum. You can certainly use the mortgage calculators on our website to calculate how much mortgage you will be able to afford - but it's also valuable to talk with one of our mortgage professionals. For one thing, you'll need a Pre-Qualification Letter! 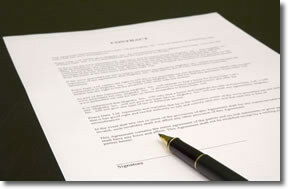 Next, we can review your mortgage program choices to be sure you have chosen the best one. Contact us at 440-934-2100 to get your pre-qualification process started. Have questions about pre-qualifying? Call us at 440-934-2100. It's our job to answer pre-qualification questions, so we're happy to help!